Fall is just around the corner, but you can still keep those summer vibes going by coming to Tommy's Place for our second KXSC and Spectrum show! We have a great lineup guaranteed to bring sounds that remind you of lazy days spent on lawn chairs in your best friend's garage, hot afternoons that melted your chocolate ice cream at the beach, or warm nighttime drives with your friends where you chased after the stars. 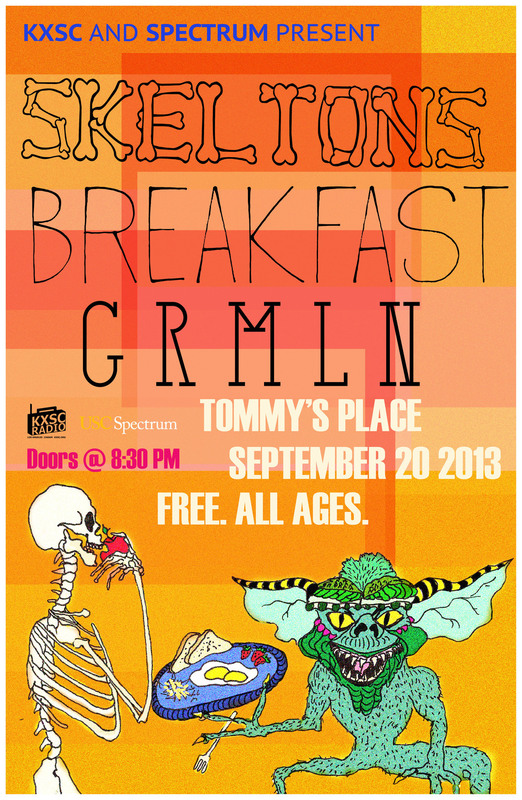 Whatever your summer memories are, come relive them through music from Skeltons, BREAKFAST, and GRMLN. Low key yet high energy garage, oozing honest and heartfelt intentions. Dreamy rock rhythms with touches of melancholy, set to the ocean and sun.